What kid doesn’t love a robot? 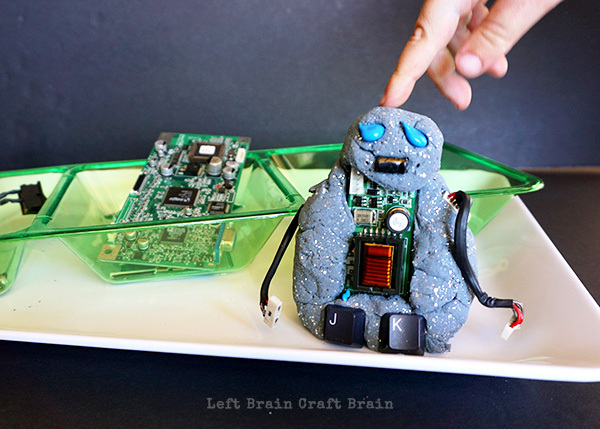 Here’s an easy way for kids to design and build their own robot, with glittery, shiny “metal” play dough and recycled computer parts. 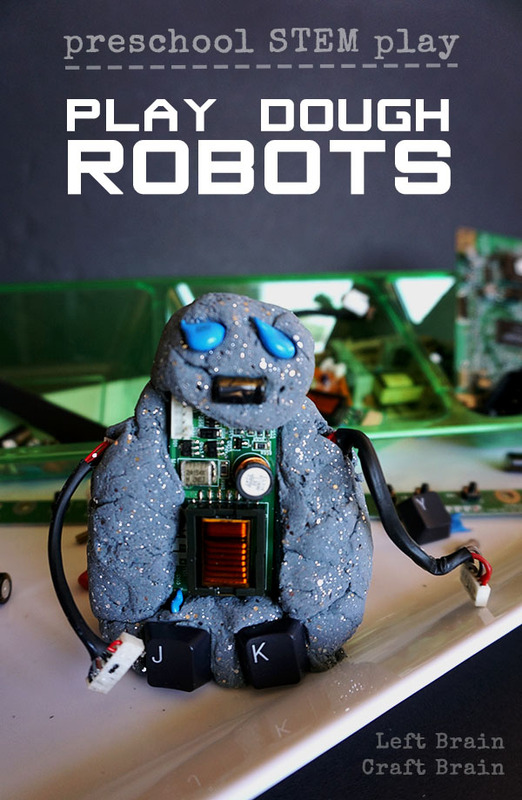 Granted, they don’t actually move like real robots, but that’s where the kids’ imagination comes into play :) Keep reading to the end for this week’s Love to Learn Linky, too. This post contains affiliate links. Last week, we took apart an old keyboard and flat screen monitor we found at the recycling center. It was an amazing experience in deconstruction for my preschool aged daughter and kept her entertained for over an hour the first day and for more daily sessions afterwards. For hints on how to make your computer part session successful, click on over to the Computer Deconstruction post. After we took the components apart, it was time to dream up ways to use the parts. Enter robots. And play dough… Shiny, glittery metal-like play dough. My daughter used some wire bundles for arms and capacitors for the face. She insisted that the robot needed an operation panel full of buttons, so in went a piece of circuit board. Keyboard keys make great feet, too. 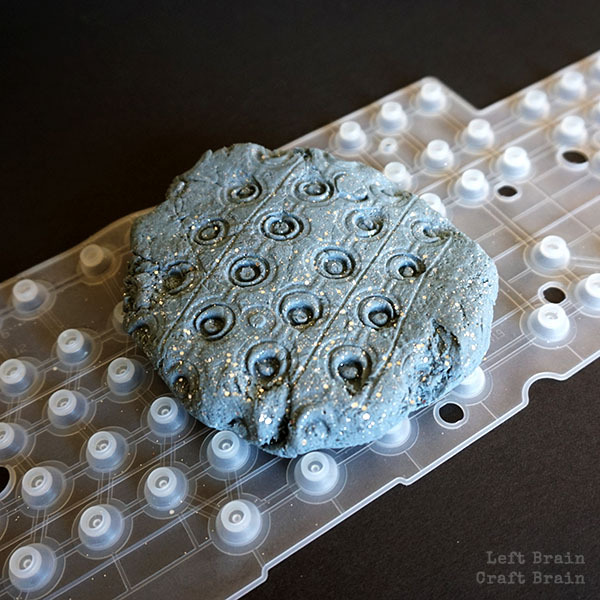 The insert inside the keyboard made an awesome texture press for the play dough too. Combine flour, salt and cream of tartar n a large pot and stir until well mixed. Stir in water and oil until combined. Add black food coloring until a light grey color is achieved. Once dough is cool enough to handle, add glitter a little bit at a time, and then knead. Repeat until all glitter (both kinds) is uniformly incorporated. 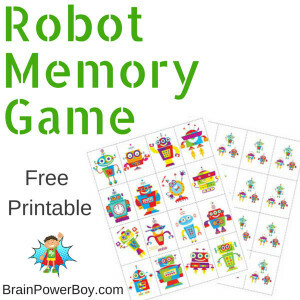 For a little more preschool robot fun shared in the Love to Learn Linky, download this free Robot Matching Game from Brain Power Boy. What a great idea Anne! I’m sure your daughter had tons of fun with this – what kid doesn’t love sticking stuff inside playdough after all – and this is such a fun twist! Love the chubby robot with letter feet! Well that’s a rad idea! I love the extension of your computer deconstruction project into what is now a toy and art piece. 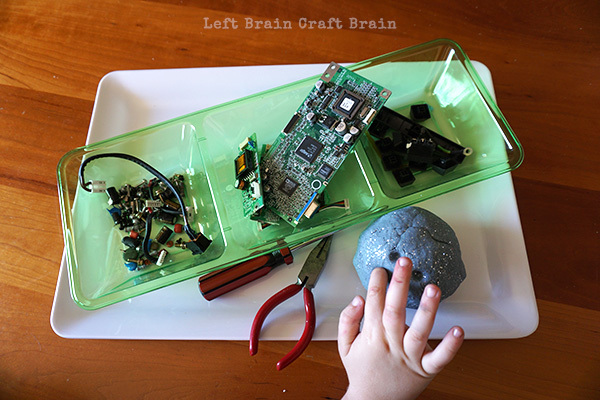 Add in the making of your play dough for a kitchen project. Wonderful all around.